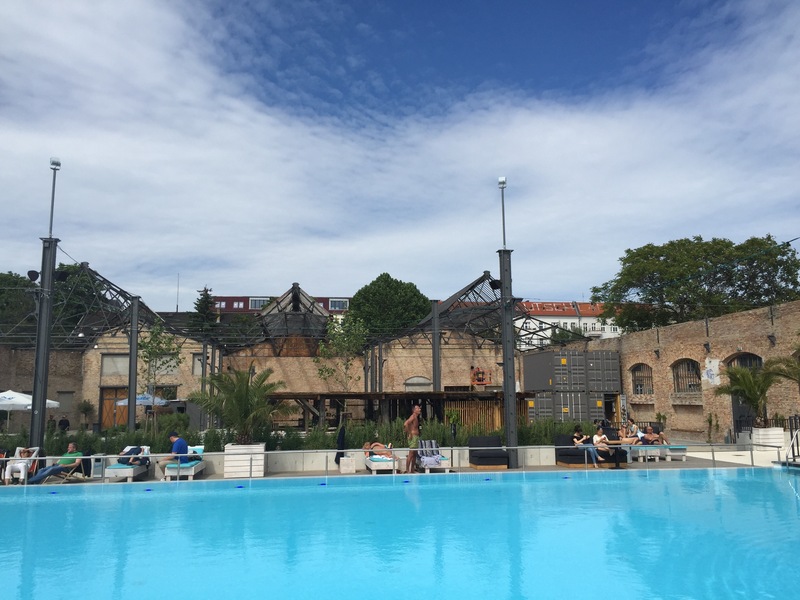 Hundstage – where to escape from heat in the heart of Berlin? I learned this German expression after watching a controversial movie by Ulrich Seidl back in a day. ‘Dog days’ stand for unbearably hot summer days where the ‘dog’ star, Sirius, coincides with sunrise. I suspected the heat wave to hit only once (first weekend of July), but it seems it hit again and will stay with us for the next 10 days or so :). So let me share my 3 fave swimming pools & city beaches to escape from the heat. Disclaimer: they can get crazily crowded during weekends (other 4 million people can really have the same idea! ), or when extremely hot temperatures hit. If you decide to go there, better go first thing in the morning. 1. 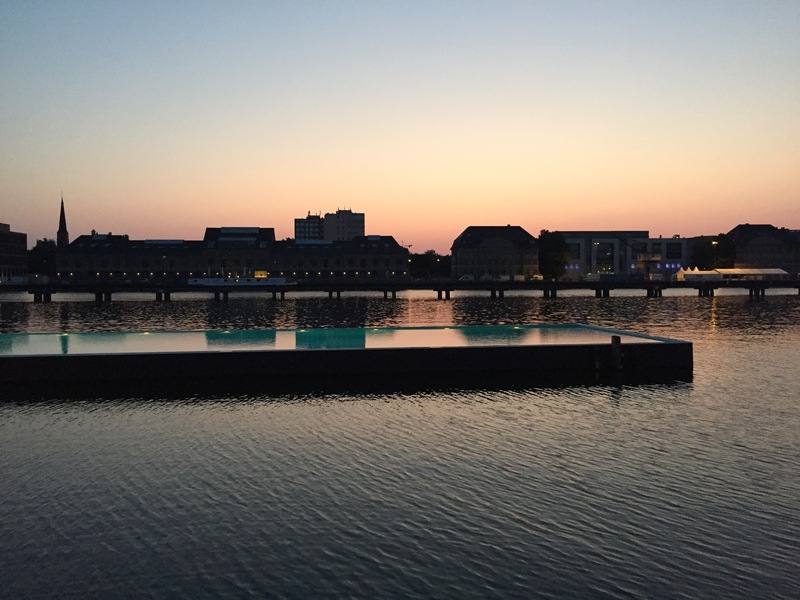 Badeschiff – a floating pool on the Spree river in between Treptower Park and Oberbaumbrücke within the Berlin Arena area. 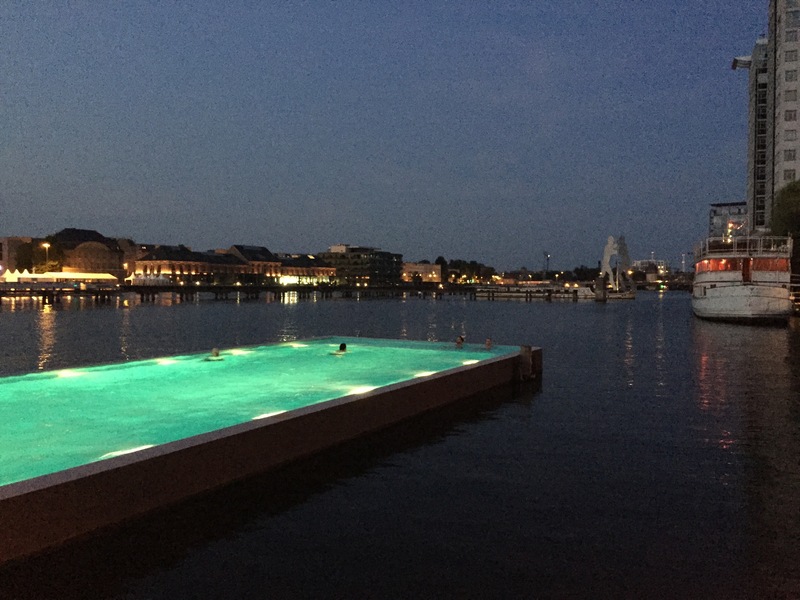 Entry as for 2015: 5 EUR, offers a nice bar, burger place and massages on the deck. Not so much healthy food options though. 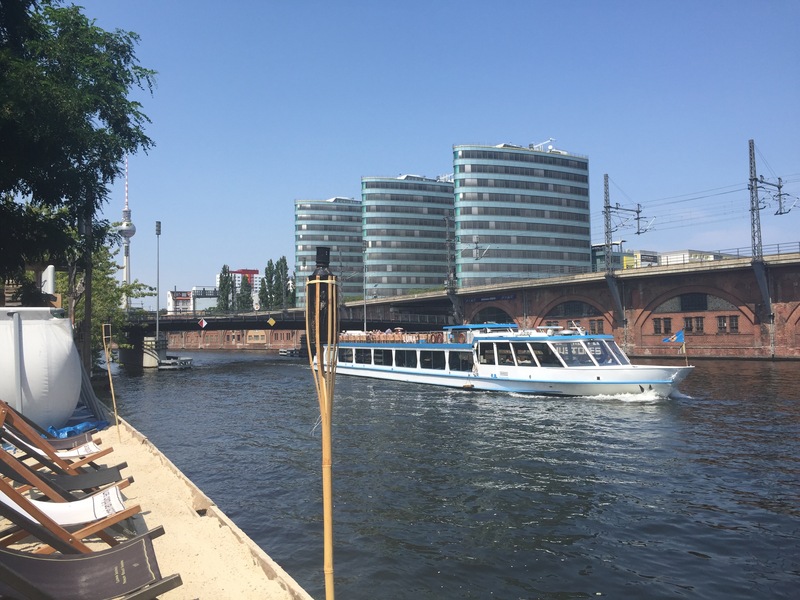 Swimming pool with a sunbathing decks, offering great views over the Spree is just worth the price of it all, even queuing to get into kaltes, klares Wasser. 2. 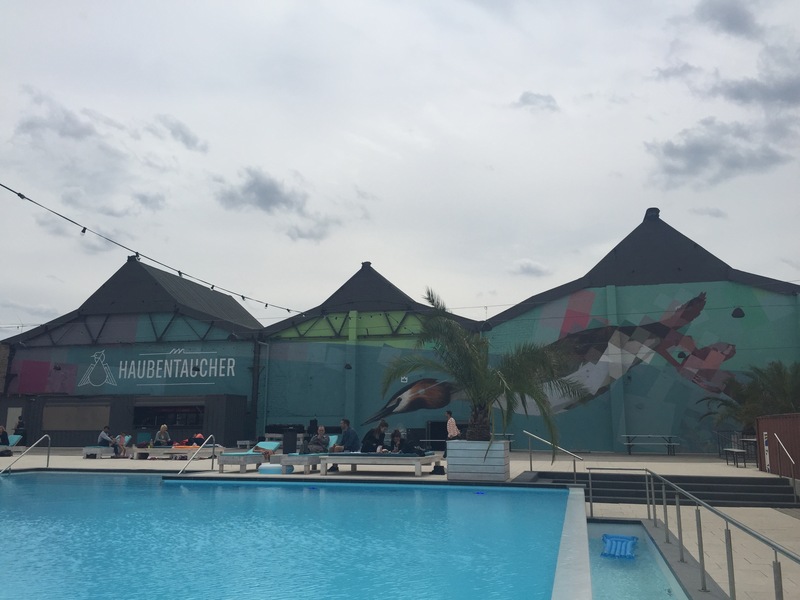 Haubentaucher – named after a lovely bird, this swimming pool is a surprise within the urban jungle of Urban Spree. It offers much more healthy cuisine, and the pool itself is pretty spacious. The only missing part is the smell of water, but it’s equally refreshing. Entry as for 2015: 3-4 EUR. 3. Rampe – hidden in the bushes near Michaelbrücke, was a nice revellation to me on Sunday when temperature rose to 38 degrees and I was hopeless where to hide. I heard nice music and sneeked in, no entry fee was needed. Swimming pool was not as spectacular, but located in the nice shades of trees, and the beach had a typical seaside sand. There are various open air parties organized there on a regular basis, as I learned later, so depending on the line up, the entry fee can go up to 10 EUR. Of course, if you are more determined, you can escape to the Baltic Sea coast, both on the German and Polish side. Or to catch a train and discover the beauty Beyond Berliner Ring.